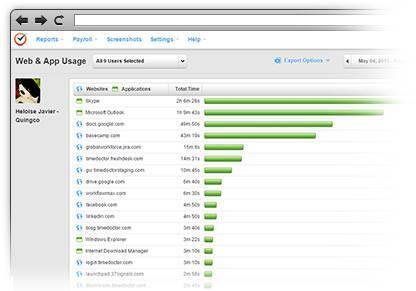 Time tracking with screenshots, monitoring of website and app use, integrations, and more. When you can accurately track where time is spent in your business, it is easier to ensure that everyone is working efficiently. Time Doctor will not only track the total time worked by every person on your team, but it will also provide a breakdown of how much time is spent on each project, client, or task. Time Doctor is accurate to the second, so you can easily bill clients or pay employees based on tracked time. No matter how efficient we are, we all get distracted. Time Doctor helps you stay focused by gently nudging you back to work when you get distracted. Time Doctor will monitor employee internet usage during their work time. When it is detected that excessive amounts of time are being spent on YouTube, Facebook, or browsing other personal websites, Time Doctor will give those users a nudge to check if they are still working. Time Doctor gives you detailed insights into how you spend your time so that you know where your weaknesses are and can improve them. Time Doctor silently records application and internet usage for all users while they are working. Managers will receive a weekly report outlining which websites and applications were used and for how long. Individual users will receive the same report outlining their own time usage statistics. This report maximizes productivity tracking and helps to identify productivity issues. For example, if you are a developer that is only spending 10% of your time on development, you will be able to see what is occupying the rest of your time and make the adjustments you need to get back on track. Time Doctor is an incredibly powerful tool on its own but when you integrate it with other software, it becomes even more powerful. Time Doctor smoothly integrates with some of the most popular management platforms on the market today. Click here to see the full list of integrations. 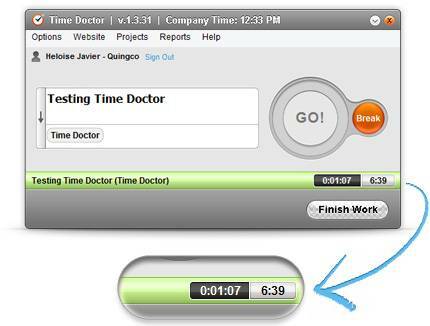 Integrating allows you to use Time Doctor to track time spent on projects and tasks from those other platforms. We are constantly adding new integrations. Time Doctor has the ability to take screenshots of users’ computer screens every few minutes. While time tracking with screenshots is useful for monitoring remote employees, it is often less important in an office environment. 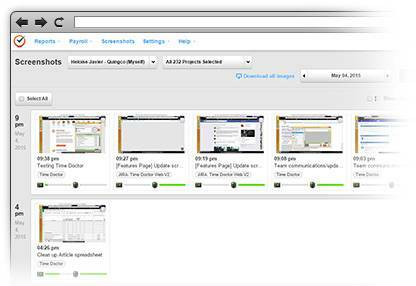 Screenshots are also useful for some types of companies, such as design shops, which can use them to review work processes and improve productivity. The screenshots feature can be enabled or disabled for each person in your company and the screenshot interval can also be set. Please note that screenshots are only taken when team members indicate that they are working and are never taken during breaks. By default, screenshots can be deleted by team members, which helps to maintain their privacy. If any screenshots are deleted, the associated work time is also deducted from their work hours. You can give your clients access to Time Doctor at no extra cost. Your clients' access can be white-labeled with your own branding and can appear on your own company's domain. This will allow your clients to view screenshots and reports about the tasks being worked on. Your clients will only be able to see data about the work that you have done for them, rather than all of the work done at your company. Easily pay your employees based on either hours tracked or fixed salaries with Time Doctor. Payroll setup is fully customizable. It includes a variety of payroll periods and supports all currencies. 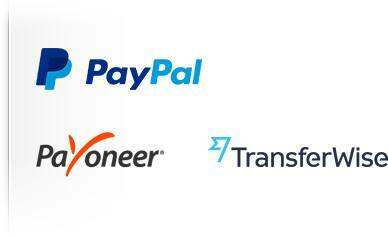 Time Doctor gives you the freedom to pay your employees using PayPal, Payoneer, TransferWise, or any other method of your choosing. No fees are deducted by Time Doctor for these payments. The Time Doctor mobile app has the option to enable a GPS tracking feature to track the location of your team when they are working. It will track their location only when they are working, not for the entire day. 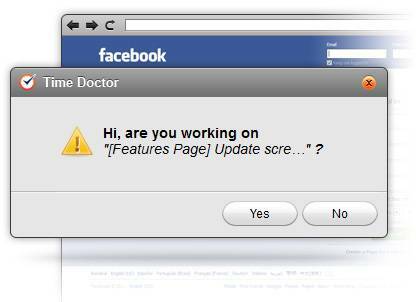 Time Doctor's API allows your own software application to interact directly with Time Doctor. This gives you the freedom to manipulate the data from your Time Doctor account in almost any way you want. The API allows you to read detailed work data from your company's account. The API also includes write capability, so that you can add or edit your own tasks and projects and assign them to the appropriate users via the API. Click here to learn more about the API. Because every company is different, Time Doctor can adapt to your needs. With Time Doctor, your information is safe. All information, including screen captures, is encrypted before being sent to the Time Doctor servers. We use world-class encryption methods on world-class servers to ensure that your information is kept safe and secure. When Time Doctor is turned off or when you are on a break, none of your activities are tracked, so you can feel secure in the knowledge that data will only be collected when you want it to be. We make Time Doctor “just work” so you can concentrate on building your business. Nearly any computer with an internet connection can use Time Doctor as our task manager is available for Mac, Windows, and Linux. Sign up, installation, and setup for multiple users can be completed in less than five minutes. Any employee or co-worker invited to Time Doctor will receive an email that shows them how to set up the software quickly and easily. Chat with our friendly support staff. Submit questions directly through our support ticket system for fast and friendly customer support. We also have a knowledge base with video tutorials to help get you started.